The Indian Summer of Circo Zoe is that warm feeling in the early cold. It represents the instant in which the feeling between the various art forms becomes a representation. The combination of technical and artistic expertise of a Dj, a violinist, light design manager and eight circus performers allows for a blend of an enticing improvisation work. 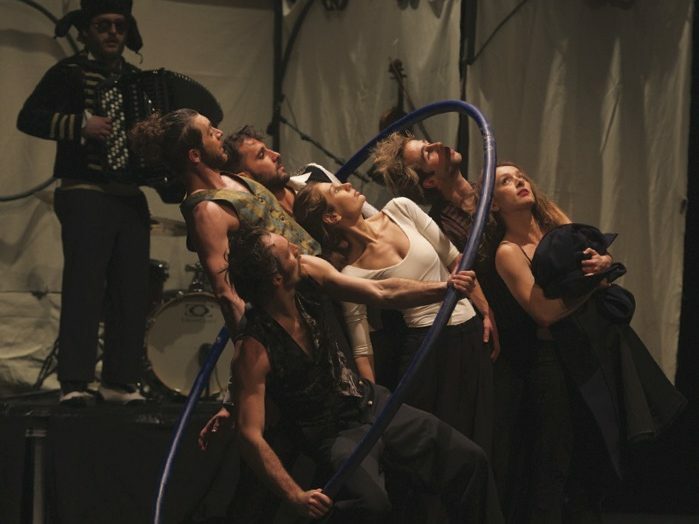 Those in attendance can be sure to witness a unique contemporary circus experience! “The Indian Summer of Circo Zoe” tagħti dik is- sensazzjoni unika. Tirrappreżenta l-mument li fih is-sentiment bejn id-diversi forom tal-arti jsir rappreżentazzjoni. Il-kombinazzjoni tal-kompetenza teknika u artistika ta’ DJ, vjolinista, maniġer tad-dwal u tmien esibizzjonisti taċ-ċirku jagħtu lok għal taħlita ta’ xogħol ta’ improvviżazzjoni li tassew tħajrek. Min jattendi jista’ jibqa’ ċert li se jassisti għal esperjenza unika ta’ ċirku kontemporanju.